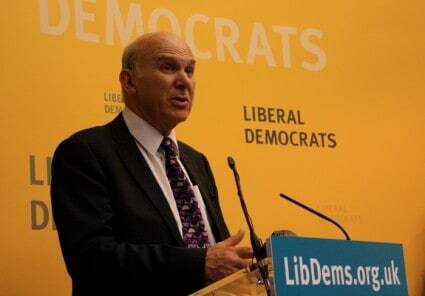 The Secretary of State for Business, Vince Cable has got into hot water because he told the truth. In a much publicised and secretly recorded conversation, the Liberal Democrat minister told people what be believed in. But it is his honesty that has got him into trouble. According to his critics, he should not have told these reporters – who were posing as constituency members – what he believed. Instead he should have lied. Er…sorry…say that again…? Yes, the establishment view is that Vince Cable is to blame for his own demise because of his honesty. A year ago, MPs were criticised for lying to us over expenses; now they are vilified for telling the truth. It seems they cannot win. But the situation in which Mr Cable finds himself is not unlike the position many website owners are now in. It seems that lying has been part of our normal behaviour for thousands of years – but modern technology is exposing the fact we all lie. Consider your own home; the phone rings and your partner answers the call. “Hello Aunty Flo,” says your loved one. Meanwhile you realise you have forgotten to send your Aunty the money you owe her. So you mouth silently to your partner “I’m not in”. Your partner nods and says down the phone line “Sorry Aunty, he’s out at the moment; I’ll get him to call you back.” Job done – you’ve lied to your Aunty but you’ve bought a bit of time. This kind of lying is known as “butler lying” – when the butler would answer the door to callers and say “Sorry, his Lordship is not in” – while his Lordship hid behind the door. Such lying is seemingly normal, everyday behaviour. Few people can claim they do not tell “white lies”. Except, of course, nowadays you can get found out. Your website might say you are doing one particular thing, whilst your Facebook status update says something different. People have already been caught out saying they are ill to their boss and cannot make it in to work, but their Twitter feed reveals they are in a pub watching the cricket on the big screen with their mates. We might think that is plain stupid, but it is seemingly normal behaviour. It’s just that nowadays the technology exists to expose the discrepancy. Decades ago, politicians said one thing on TV and another to a couple of constituents over coffee. The difference was never exposed. Now, with recording equipment that will fit in the palm of your hand unnoticed, such as a mobile phone, the lie can be made public. Here’s the issue: you lie because you are trying to fit in with the social group you are engaging with at that moment in time. Politicians say one thing to journalists because of the social rules and conventions of that encounter and then say another thing over coffee with potential voters because the social rules and expectations have changed. People say one thing to their boss and another to their mates because they are in different social situations. If you were honest with your boss and said “I want the day off to watch the cricket” you could be sacked for your honesty perhaps. So you are expected to lie to get the day off. In the past, that would not have been a problem – your boss would never have known the truth, even if they suspected your recovery was too quick..! Now, with Facebook status updates, Twitter and so on, the lie can be exposed – and this time you get the sack for lying. Break the normal social convention and tell your boss the truth – you get sacked; stick with the social rules and lie – modern technology exposes that and you get the sack. Just like Vince Cable you cannot win. Our brains are programmed to lie – to say things that meet the social expectations of any given situation. The problem is that modern technologies are exposing those different behaviours. Expect more Vince Cables in the coming years ahead. You might be next.